I'm always honored to photograph the New York Police & Fire Widows' & Children's Benefit Fund events, and Answer the Call is dear to many hearts. Held at Waldorf Astoria before they underwent renovations, it was a memorable event with Mark Messier of the New York Rangers and Rusty Staub of the New York Mets who founded the non-profit organization. 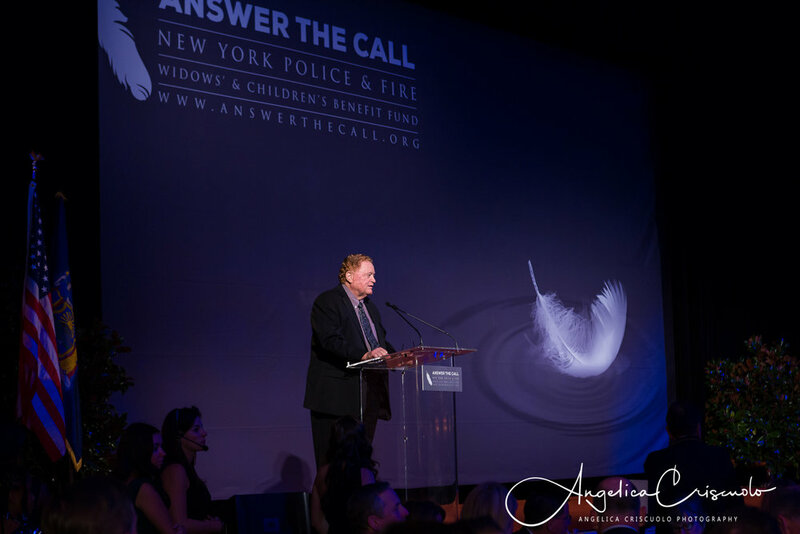 Along with the many people who have Answered the Call, their annual gala event has raised funds to help the children, wives, husbands of fallen police officers and firemen/women who lost their lives while helping New York. 2008-2018 © Copyright | Angelica Criscuolo Photography| All Rights Reserved | info@angelicacriscuolophotography.com | NYC Wedding Photographer travels to New Jersey, Connecticut, Pennsylvania, Hawaii, Destination Weddings worldwide including Caribbean, Philippines, India, Europe, Polynesian Islands &amp;amp;amp; more.Engagement Photographer and Luxury Boudoir photography. Photo booth rental and service. NO travel fee to San Diego, San Francisco, Los Angeles, Ft. Lauderdale, Miami, Orlando, Boston, DC – Available for Travel.